Posted on August 11, 2017 at 7:12 pm. 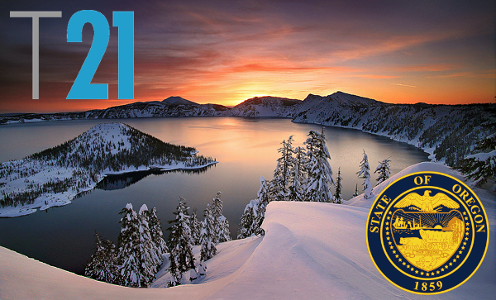 This week, Governor Kate Brown signed SB 754 into law. In a surprise move, Oregon went from being poised as the 3rd state to raise the age to the 5th, behind New Jersey and Maine. Regardless, this is a huge step forward in protecting Oregon youth from the dangers of tobacco use and nicotine addiction. We thank all the public health advocates, legislators, and additional organizations for their support. Thanks to Oregon’s strength during this legislative session, other state efforts moved forward to increase their tobacco sales age. The effective date for the law is January 1, 2018. Similar to Maine’s new law, Oregon law will not criminalize those under the age of 21 for being in possession of tobacco products. Eliminating MIP/PUP language concentrates enforcement and compliance activities on the source of tobacco rather than the youth purchasing. This is an enforcement method that has seen success with the implementation of Tobacco Retail Licensing (TRL) and consistent compliance checks. From a health equity standpoint, this change in statute also helps to protect minority populations. See our Enforcement Memo for more details. Check out the article from the Oregonian to see a local perspective. Posted on August 7, 2017 at 11:20 pm. Last week, the legislature of Maine upheld their vote to increase the tobacco sales age to 21. The legislature carried on their longest law-making session of 9 months, overriding Governor LePage’s veto in the process. The override system in Maine requires a 2/3rd’s majority to beat a veto. Overall, the vote was 29-5 in the Senate and 90-44 in the House. Many thanks to advocates and lawmakers in Maine who made this law a reality. The law will go into effect on July 1, 2018. However, current 18 year olds at that time will retain the ability to have cigarettes sold to them. This is otherwise known as a “grandfathering” clause. Although it is not an ideal implementation style, this law is most certainly a step in the right direction. Additionally, the law passed includes a strike of all Minor In Possession or Possession Use and Purchase (MIP/PUP) language in state code. Eliminating MIP/PUP language concentrates enforcement and compliance activities on the source of tobacco rather than the youth purchasing. This is an enforcement method that has seen success with the implementation of Tobacco Retail Licensing (TRL) and consistent compliance checks. Read more about the work done by the Maine legislature and the discussion held in the House and Senate chambers in the article below. Posted on July 21, 2017 at 7:07 pm. New Jersey is the 4th state in the nation to raise age! Today, Governor Chris Christie signed S-359/A-2320, which raises the sales age for all tobacco products to 21. “By raising the minimum age to purchase tobacco products to 21, we are giving young people more time to develop a maturity and better understanding of how dangerous smoking can be and that it is better to not start smoking in the first place”. We are now one step closer to the goal of preventing tobacco addiction in youth and young adults by adding yet another state to the list. A big thank you to NJGASP for all of the hard work done to pass this historic legislation. 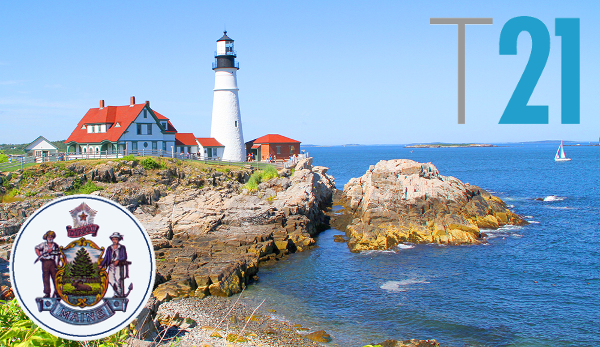 Keep your eyes on Maine for passage of yet another statewide law! Both the House and Senate have voted the bill through and it now awaits the Governor’s signature. Governor LePage has until August 1 to pass or veto the law. Posted on July 14, 2017 at 7:54 pm. Oregon is set to become the third state in the nation to increase the Minimum Legal Sales Age (MLSA). The policy will cover over 4 million Oregonians and help to protect youth from nicotine addiction, leading to less tobacco-related illness and death. This political process was not without contention. Various special interest groups, including Altria, attempted to derail efforts throughout the legislative session. 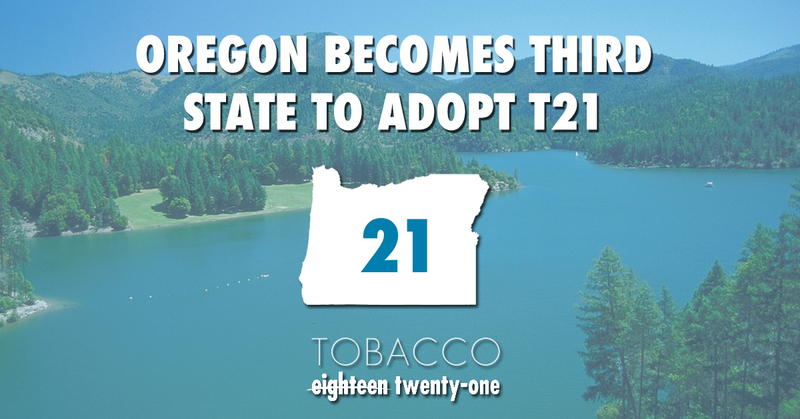 However, the Tobacco 21 for Oregon coalition weathered these attacks with poise and made it evident to lawmakers that the policy change is a strong move for Oregon. Congratulations to all involved in the process to better protect Oregonians from the influence of the tobacco industry. Almost immediately, many news sources picked up on the story from Oregon. In this case, the Charleston Gazette-Mail wrote an editorial. The press release urges West Virginia lawmakers to consider the vast benefits from enacting a MLSA increase to 21. Also in the editorial, the author highlighted West Virginia’s failure to act on this important legislation. We at the Preventing Tobacco Addiction Foundation and Tobacco 21 continue to work on these life-saving policies across the United States. We applaud all of those involved in Tobacco 21 efforts. Please do not hesitate to reach out to us through our “Contact Us” page. Posted on July 3, 2017 at 7:04 pm. The City of San Francisco has long been known as a progressive environment, as well as an ally to tobacco control and advocacy. Recently, the Board of Supervisors moved to again protect San Franciscans from tobacco use and nicotine addiction by banning the sale of all flavored tobacco products. Many non-cigarette combustible, and non-combustible products are flavored. Flavors are a main attraction to children when it comes to tobacco product initiation. This attraction is born from the association of ‘candy-like’ flavors being acceptable for youth consumption (i.e. bubblegum, tropical punch, strawberry, etc). These flavorings can be and are present in both combustible and non-combustible (i.e. vapor products) tobacco products. Flavors in tobacco products can also make smoke less harsh. This attracts more users and causes those users to inhale more deeply. The infamous cigarette ‘filter’ is the same base concept. Inhaling tobacco smoke more deeply not only worsens health outcomes, but makes the user more addicted. 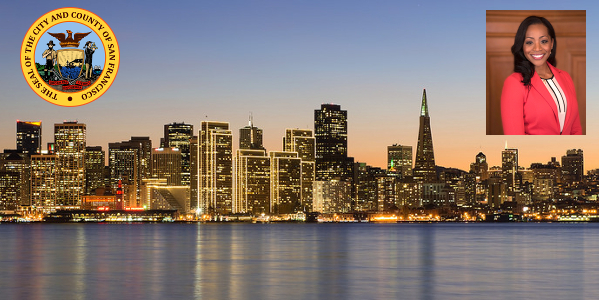 By passing this groundbreaking legislation, the City of San Francisco plans for a brighter future. Not only will less children be addicted to tobacco products, but the decrease in initiation has the potential to bring about astronomic savings. Tobacco use costs the city approximately $380 million a year in lost productivity and healthcare expenditures. Given that this law is a huge public health regime change, it has a significant roll-out period. This roll-out period will help retailers of tobacco products reposition themselves in their sales environment. The city also plans to provide assistance to retailers during the transition. The new flavor-ban law will go into effect on April 1, 2018.